Morgan James Publishing, 9781683504467, 186pp. Some attribute it to Aristotle, but whether the great Greek philosopher said it or not doesn't affect its timeless truth. "If you want to avoid criticism, all you have to do is say nothing, do nothing and be nothing." If on the other hand, you decide your life is purposed for something worthy and being on the playing field is preferred to sitting in the stands, there is something you are sure to encounter; what Jeff Piersall and Eric Wright call "barking dogs." 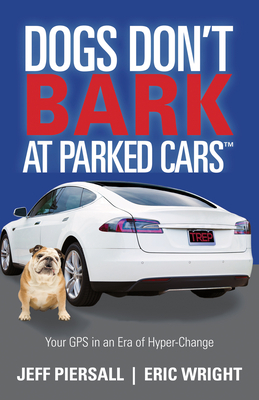 Dogs Don't Bark at Parked Cars illustrates this encounter as the voices that find fault, who don't think it's possible, who are unable to see a future alive with opportunities waiting to be seized. They are the ones governed by fear instead of faith. Unfortunately, many times the loudest of these barking dogs are kenneled right in most people's own heads. For Jeff and Eric, that priceless quality is wisdom. It goes beyond knowledge or aptitude and transcends this era of cultural and technological hyper-change, with principles that are timeless. Jeff Piersall - CEO and Founder of SCB Marketing, former high school and college basketball coach, Piersall is a wealth of knowledge of people and live experiences and at all levels. He has published over 130 articles over the past decade on business leadership and vision. He resides in Melbourne, Florida. Eric Wright - former pastor and an author who has published over 200 articles and his experience brings an entire lifetime of human experience. Their combined human knowledge and experience brings wisdom to the reader. He resides in Melbourne, Florida.